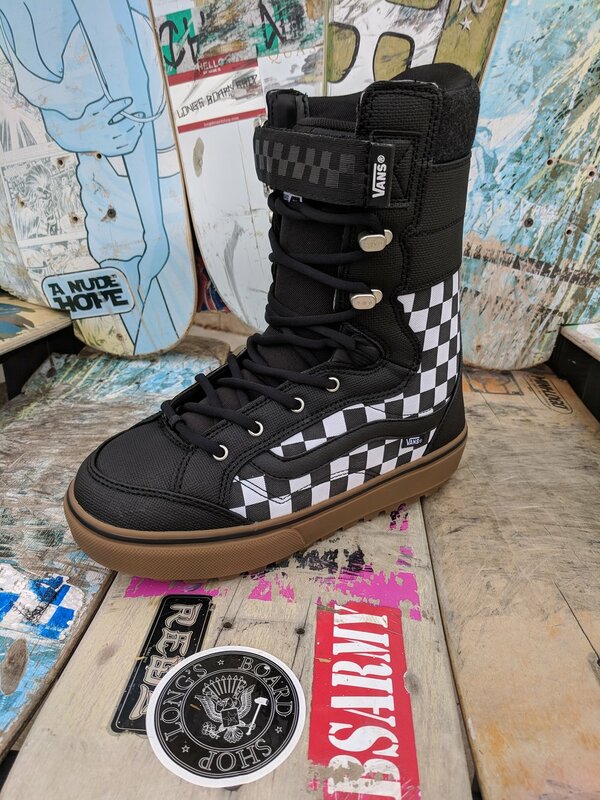 OK… so i’ve been super excited about this boot ever since trying it on last January at the trade show in CA, but i wanted to actually get some riding in on them before writing about them. This boot is great! 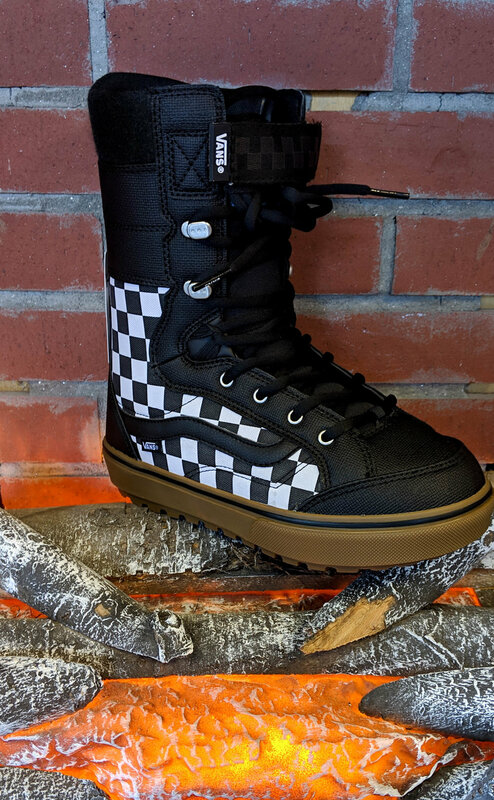 Vans made the decision to try out a liner-less snowboard boot and man, did they nail it. I’m not going to pretend this boot is for everyone, but this boot does hit a lot of important attributes that just aren’t being hit in the boot market right now, making it the perfect boot for those it’s perfect for (see what i did there). Who’s that person, besides me? I’ll tell you. i belong to the school of thought that if i wanted to wear stiff boots i’d become a skier. 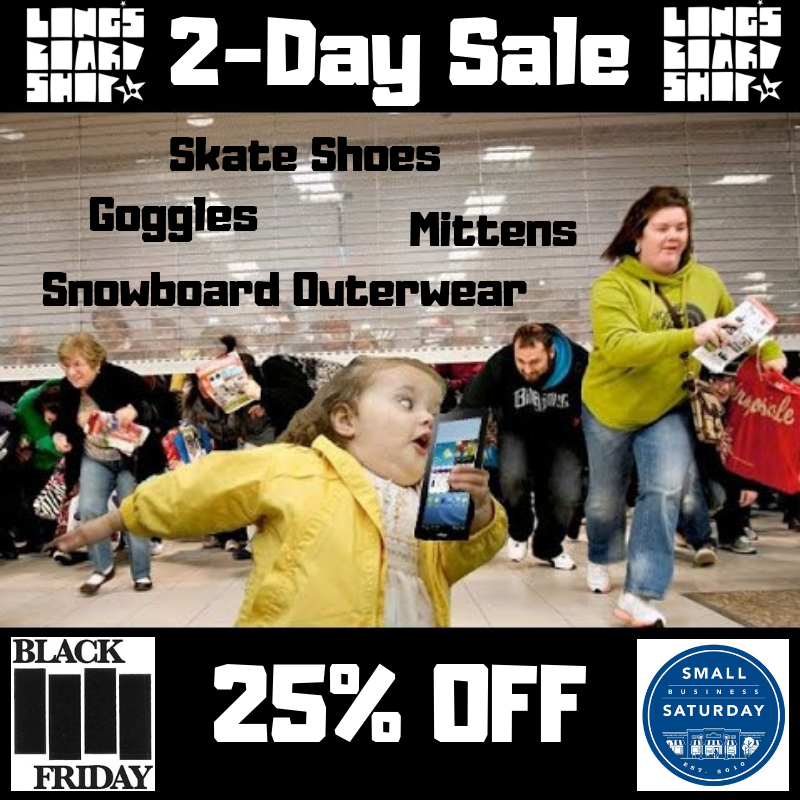 Maybe the fact that when i started snowboarding, there were NO snowboarding boots, has an influence on this. Compared to learning to ride wearing Sorels and duck boots EVERY boot is stiffer. 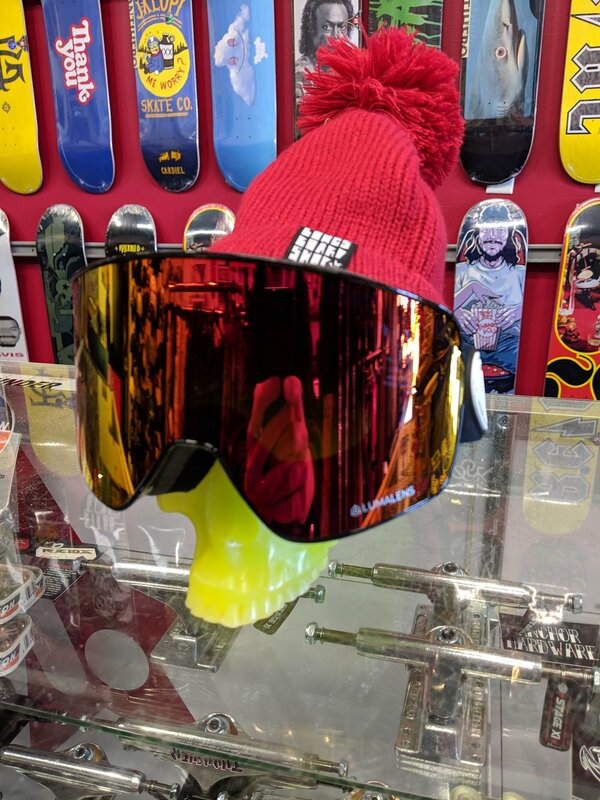 My bindings do more than enough to give me the stiffness i need getting toe and heel-side for fast hardpack conditions or deep powder. But if you want to tweak out that grab (as you should) there is no substitute for boot flexibility. My toes don’t come to a point. They remain the same width as my foot, so i don’t like wearing boots that tapper and thin as they get to your toes. These babies have a beautiful wide radius to their toe-box. My feet rarely get cold, in fact i usually just wear everyday socks instead of snowboard specific warm socks. These 1-piece boots are more than warm enough for me. Lastly, they threw a gum sole on it! You had me at gum. Sure they’re softer than my other boots, but i still felt fully locked in by my bindings without any pressure points or pinching. i didn’t experience more of a heal slip than in any other properly fitting boot with a liner. i had good response and control from my board and when hitting little pre-season kickers, that extra flex was great for loading my ollie and bending to grab. Off the board - it was like walking in slippers! So comfortable! They make walking up stairs passed other snowboarders look like snowboarders usually make skiers look. Later Frankenstein, i’m getting lunch! PS - i think these would be perfect for lifties: you can wear the same boot to load up the chairs and then sneak in runs without a swap. All right, time for this year's installment of my favorite picks for Christmas 2017! Going to start off with jackets this year. Rome has given the Degenerati crew their own line and i really love everything they've done. Their stylishly understated anorak jacket has a nice amount of insulation and comes in the right color: black. Honorable mentions go to Rome's Knuckle Draggers tech hoodie (one of the best weather-proof hoodies i've ever seen) and Ride's weather treated and lined riding flannel. Now the boards. i try to ride all the boards i've ordered for the season at On-Snow every year and these two are my personal favs. One again, a selection from Degenerati. i don't need another board right now but if the Gnu Carbon Credit in my size doesn't sell out this season it's going to come home with me. 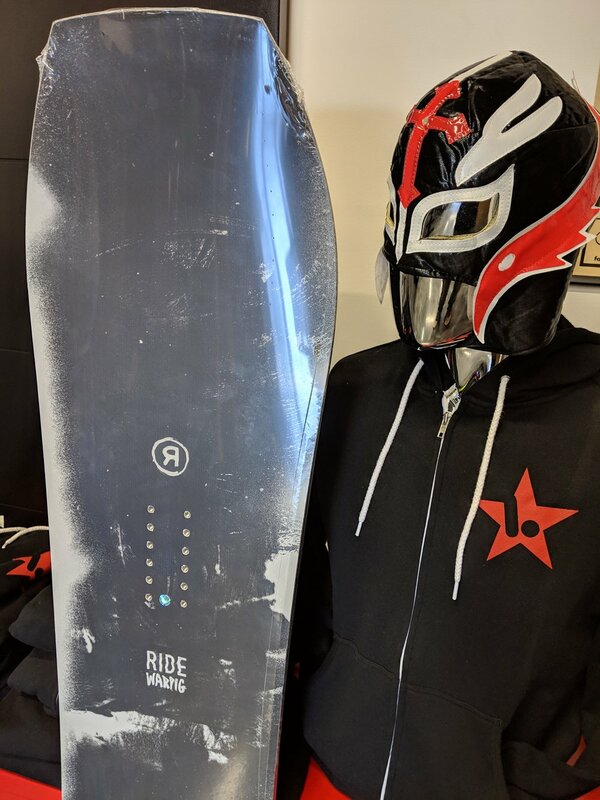 i'm a huge fan of magne-traction (especially when riding here on the ice-coast), their asym is great, and this board is super environmentally friendly - just like me! OK, here's everything else on my list ALL AT ONCE. This year's shop shirt is a play on the old Prey For Surf Rat Fink 70's stuff. Our friend Jon really nailed it with this Wompa inspired Pray For Snow design. Long sleeve, get one now. My sock picks are the Spaceman/Alien from Stance (i've already been riding in them) and you can't deny the WU! Year two of Crab Grab making my favorite hand coverings. And i've saved the best for last. You love their sneakers. You love their snowboard boots. Now Vans has you covered for the in-betweens. When there's snow on the ground you can't always be snowboarding. 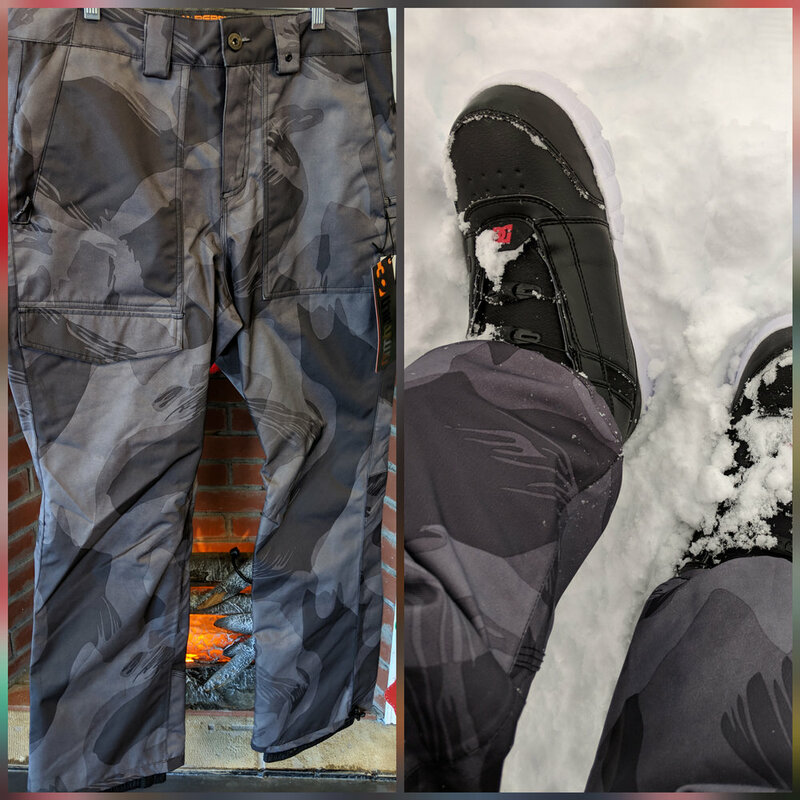 This year introduces their new snow boot, and it is awesome! i've already cleared the driveway three times in them.